Our week-long RAW after ‘Mania reveals have already confirmed seven iconic moments for inclusion in the 2017 Home Video, but let’s get eyes on more right now, shall we? “WrestleMania Monday” is on the way as a 3 disc DVD set and 2 disc Blu-ray set this March in the United States, early April in the United Kingdom, and is expected shortly after in Australia. Its main feature will be a documentary, or more specifically an expanded version of an imminent “WWE 24” special on the WWE Network, combined with “deleted” scenes that won’t be found on the Network and 6 hours of extras! Today we can exclusively reveal the trailer and first matches. Those matches emanate from the RAW’s after WrestleMania 23, 25, 31, and 32, featuring a whopping 40+ Superstars including all-stars the likes of John Cena, Shawn Michaels, AJ Styles, Chris Jericho, Kevin Owens, CM Punk, Ricky “The Dragon” Steamboat, “Hacksaw” Jim Duggan, Booker T, Rob Van Dam, Edge, Rey Mysterio, The Miz, and the Hardy’s! REVEALED: Huge Additions to WWE’s 2017 Schedule – “Best of 2000’s” DVD, Seth Rollins Blu-Ray, More! We can confirm once again today, as in the post above, that this will be a 4 DISC set, which as of now is scheduled to hit the UK on April 24th, following a day later to the US on April 25th. The information we have so far suggests that this title will be DVD-only with no Blu-ray planned. Good news – the new “Double Feature” PPV DVD packs that were also just added to the 2017 Home Video schedule look to be releasing WORLDWIDE! “WWE Double Feature: Elimination Chamber 2017 & Fastlane 2017” will be a 2 disc DVD set and is currently planned for release to North America in April, following to the UK in May. Like the 2000’s comp, at this time we cannot see any indications of a Blu-ray edition. LAST CHANCE AT THE TITLES, TEES & DVDS!! You have until the early hours of tomorrow morning to take advantage of WWE’s latest sale, which includes 40% off the prices of their entire stock of DVD and Blu-ray titles! Click here to WWEShop.com to see what’s still available in the big sale. Simply click on a DVD or Blu-ray title to see the full discount applied without the need for a promo code. Prices start at only $5.99 and all of the big 3 disc sets released in recent months are down to just $11.99 each. If you stock up and buy multiple titles at once your order will get flat-rate shipping. 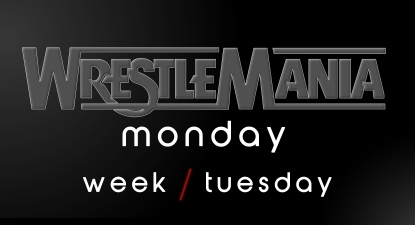 HEY, I JUST RE-CHECKED UK’s FREMANTLEMEDIA WEBSITE & THEY HAVE THE FULL ‘WRESTLEMANIA MONDAY’ CONTENT LISTED! There are a couple of ‘TBD’ slots on DISC2, however most of it seems to be listed including the Doc on DISC1 & all BLU-RAY EXCLUSIVES! 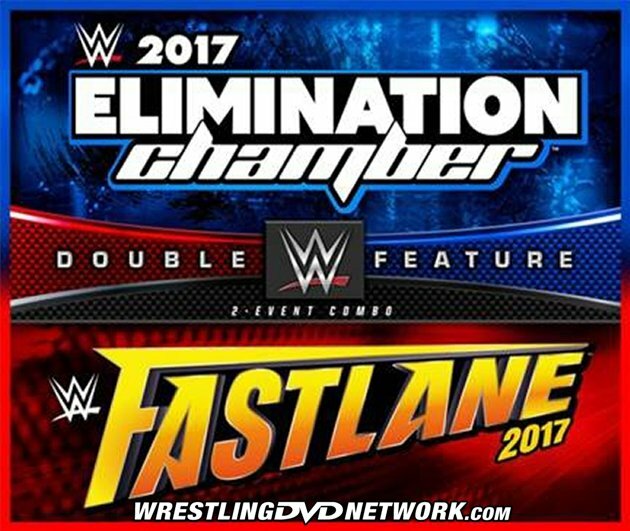 Like to know whether Fastlane 2017 and Elimination chamber 2017 will still release on its own DVD as a double PPV DVD is already confirm. Me too still hoping Backlash 2016 & No Mercy 2016 will be out on double PPV DVD set. Ehh..am I the only one hoping they’d released “the best of RAW” seasons after they cancelled it dam near 6 years ago? I would like to see a Best of Seasons 3 & 4 of RAW as well. Highly doubt it. Considering they finally got around to uploading the complete catalog of every Raw ever on the WWE Network. 4 disc DVD huh? So I take it, it will be a 3Disc Blu-Ray set then hey? The article says no Blu Ray planned as of now. Oh, my mistake, I thought they meant the Wrestlemania Monday set. We will. After the show happens. I think, Freemantle use the early promotional poster temporaly.. Don’t think the one right now, is the official DVD/Bluray cover. Nop, it’s a promo poster, has the event time on. Has the cover art for the RAW after WM DVD been released yet Daniel? Not yet, should be very soon now that the content has been unveiled! Thanks Daniel. Looking forward to seeing it soon. Oh give me strength, here we go again with the “no Blu-Ray” rants. Dude get over it. The article mentions that it might not have a blu-ray release, so yeah, people are gonna talk about it. Surely it’s them who should be “getting over it”. Damn right! I only buy Blu’s! Weird that best of 2000s won’t be Blu Ray since it will actually have HD footage to use on there as opposed to the many Blu Rays we’ve gotten with footage from 80s and 90s. I like today’s picks, and good news that the twin pack will see a US release. Good job as always. Interesting reveals for the Monday release there, compared to yesterday.. continue with more of these unreleased, for me, rare matches like those battle royals, and I might get on board with this one too. This set is looking fantastic.